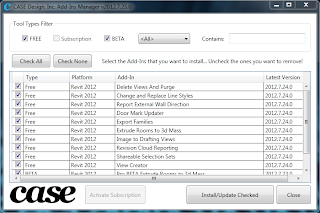 "This tool is used to install and remove CASE Add-Ins from any version of Revit. 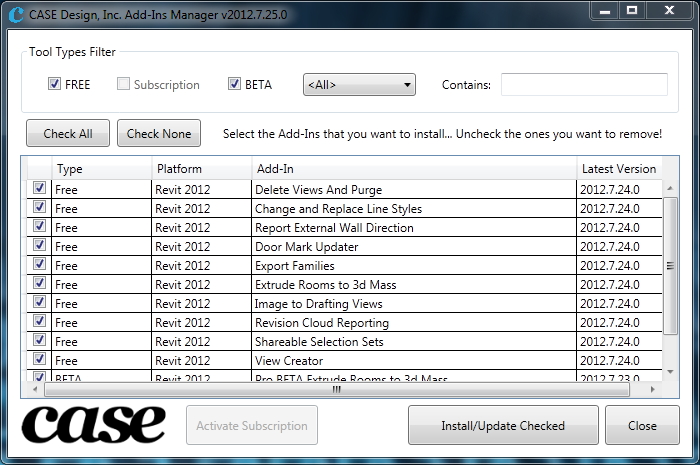 We will no longer build ClickOnce installers for any of the free tools. You may also notice a little preview for our upcoming subscription tools... stay tuned to the www.case-inc.com site for announcements!!"